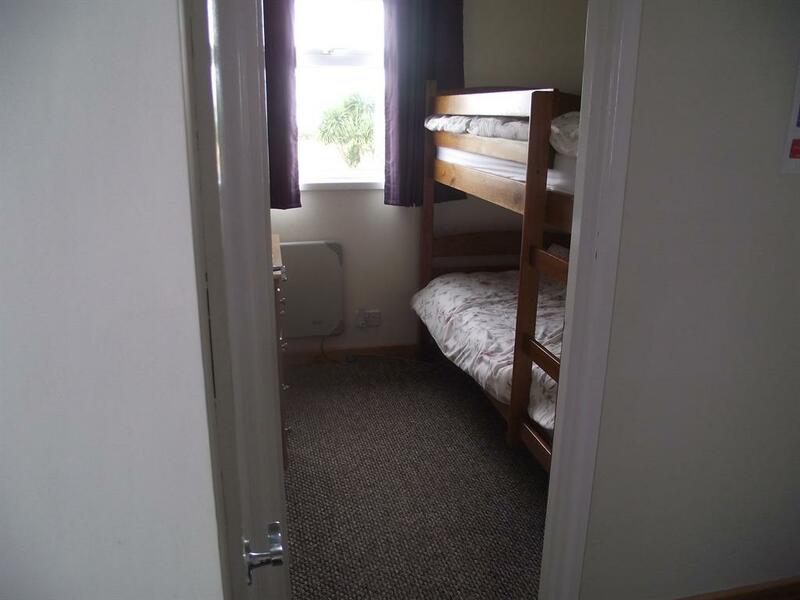 Family room with a double bed and full size bunk beds in a separate area which can be closed off to the main room. 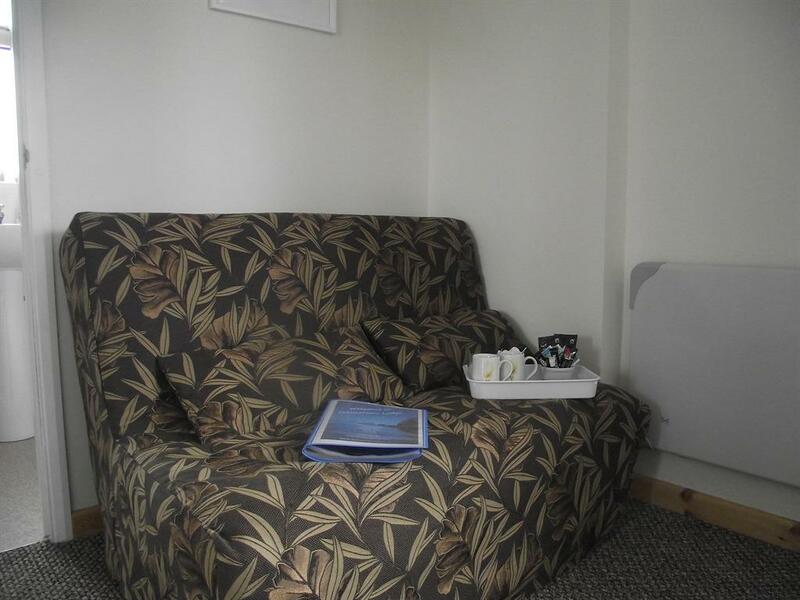 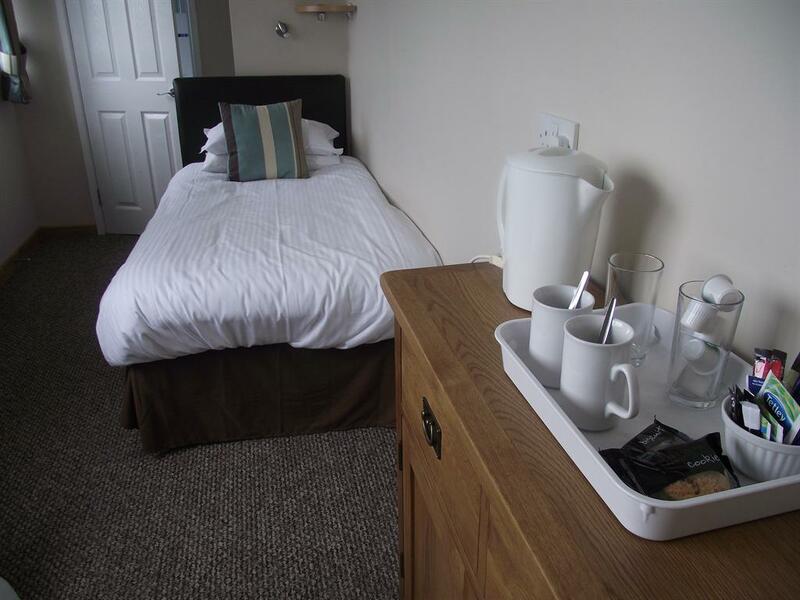 The room has a comfortable sofa, TV with Freeview & DVD player, tea & coffee making facilities and an en-suite shower room. 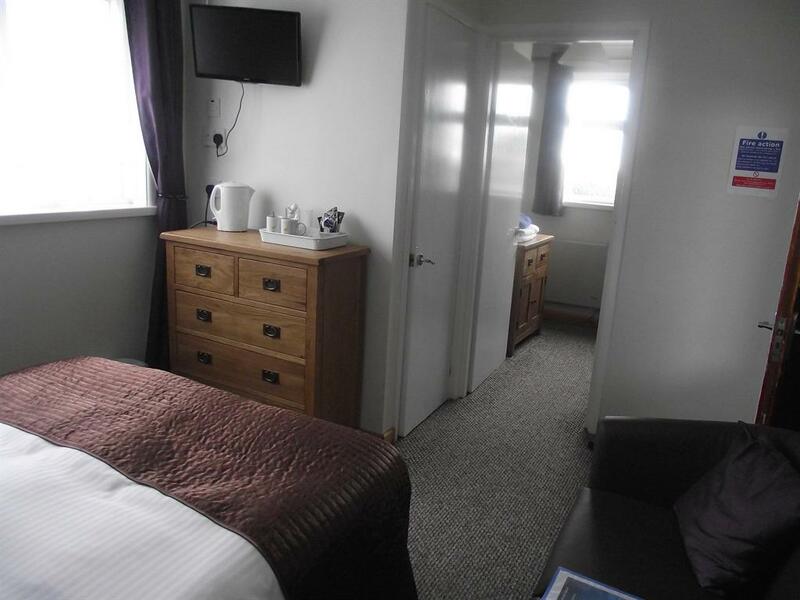 Our standard double (Room 2), has a king-size bed and a comfortable sofa along with Freeview TV&DVD player, tea & coffee making facilities and an en-suite shower room. 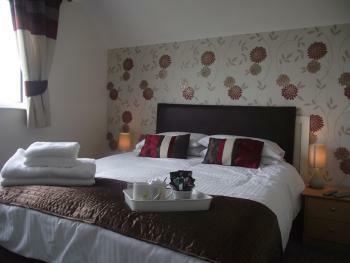 You can also book our family room (Room 4) for 2 people this room has a double bed not king size. 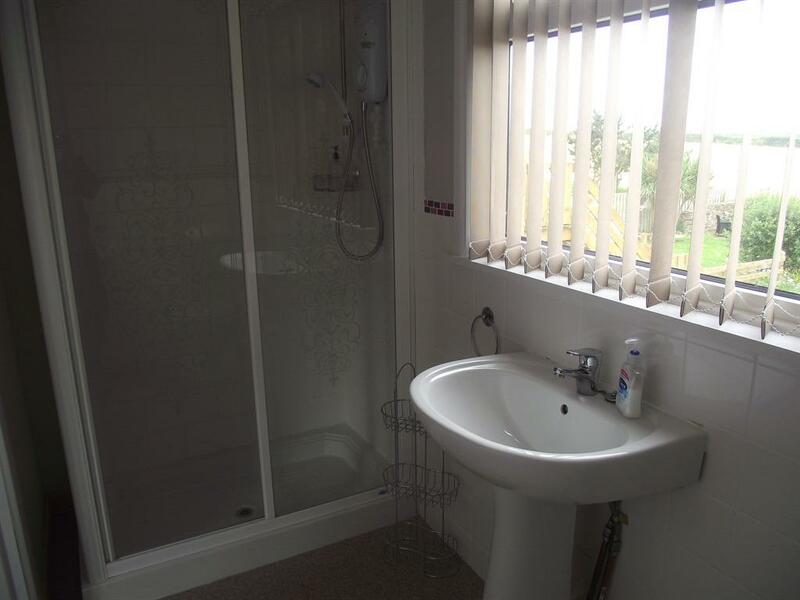 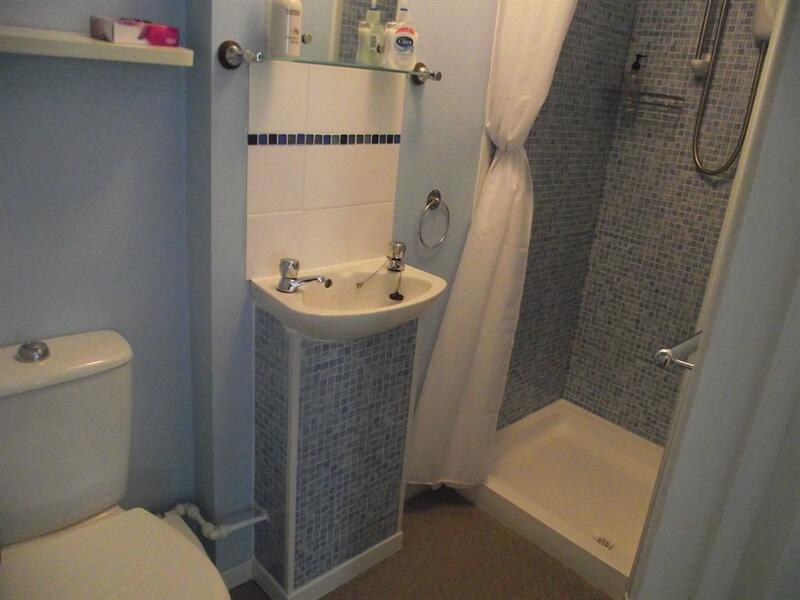 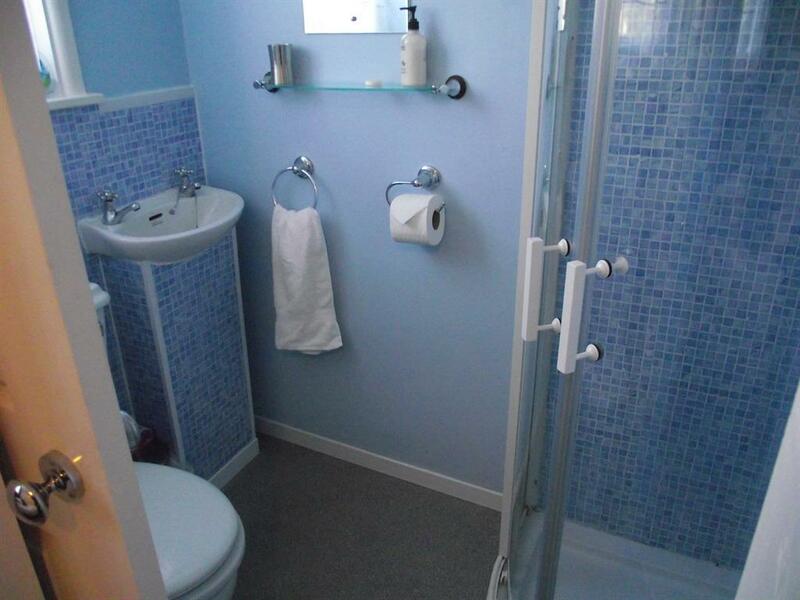 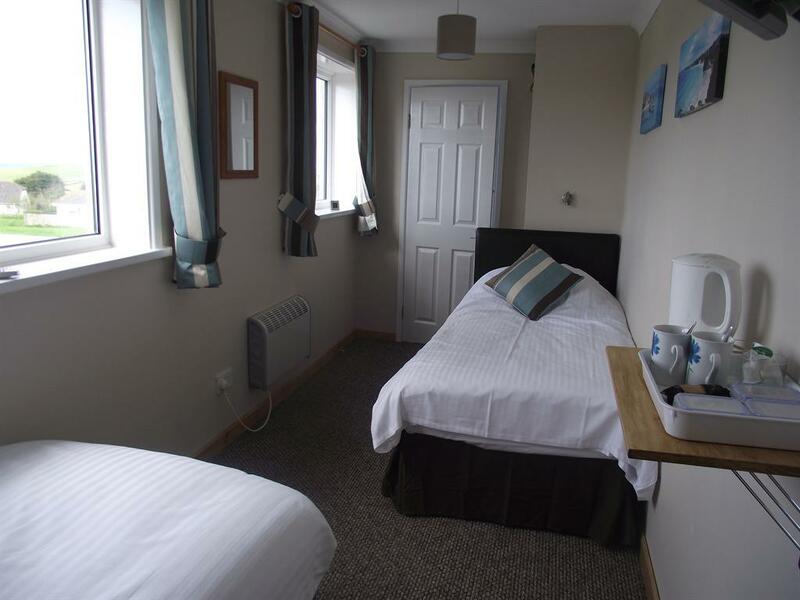 This twin en-suite is on the first floor and has two staggered comfortable single beds, freeview TV, tea & coffee making facilities and an en-suite shower room.It has panoramic views of the countryside and distant sea views. 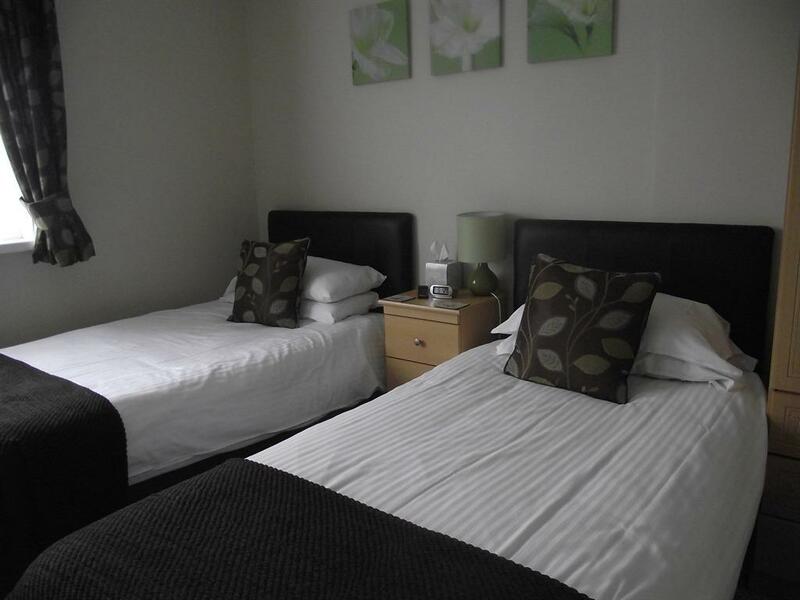 Our single room has a comfortable bed, freeview TV, tea & coffee making facilities and an en-suite shower room. 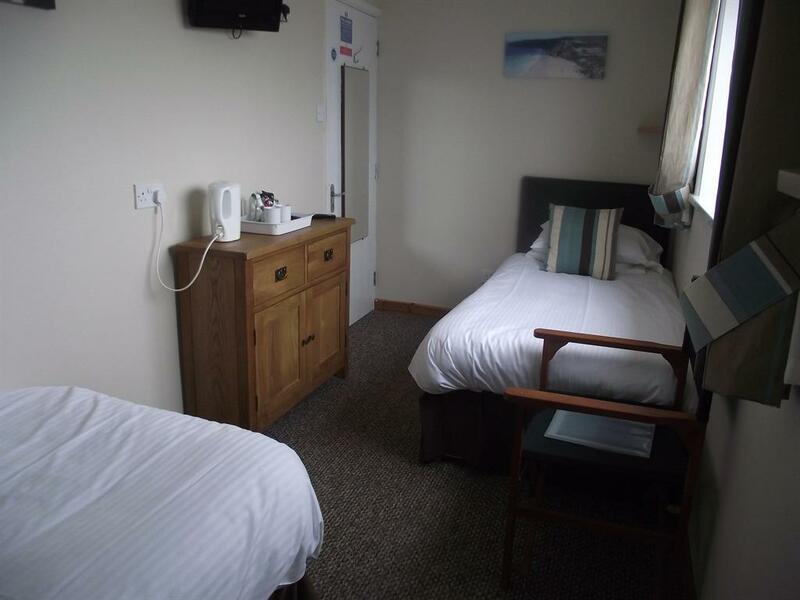 Twin room on the ground floor with comfortable beds, freeview TV & DVD player, tea and coffee making facilities and an en-suite shower room. 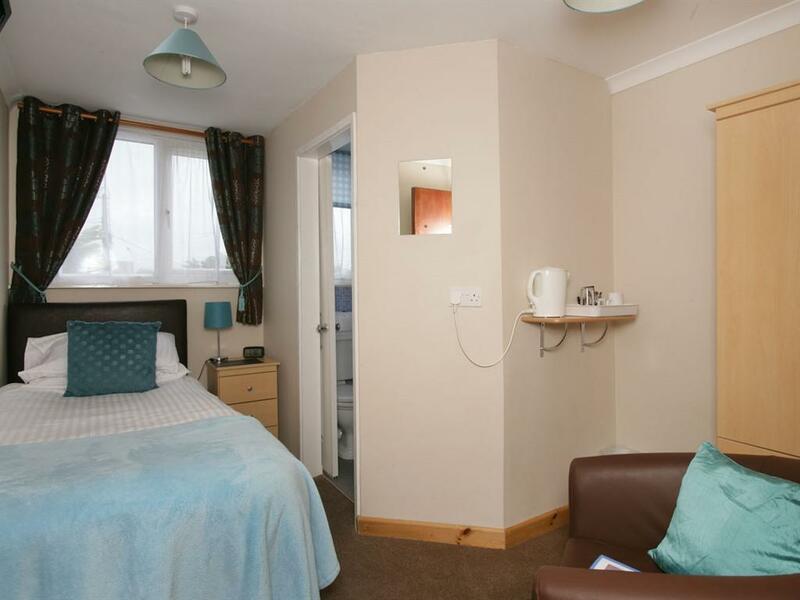 Beds can be pushed together if double is preferred. 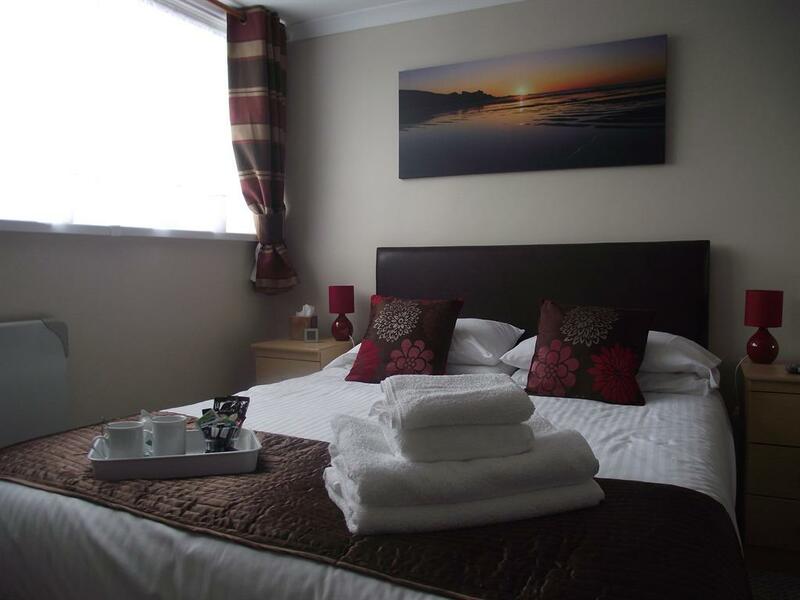 Welcome to Trevarrian Lodge a quality bed and breakfast offering comfortable en-suite rooms in a beautiful rural setting on the North Cornwall coast. There are 6 rooms - a mix of family, double, twin and single with some having countryside and sea views. 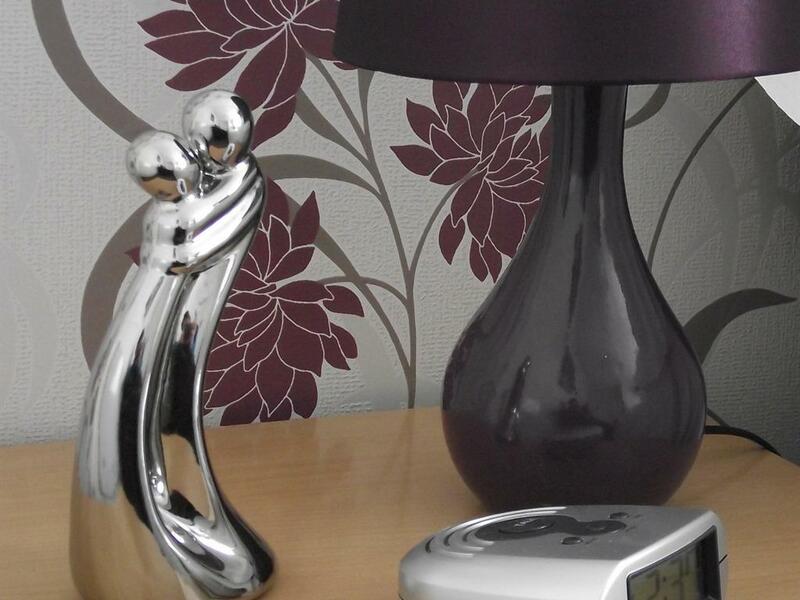 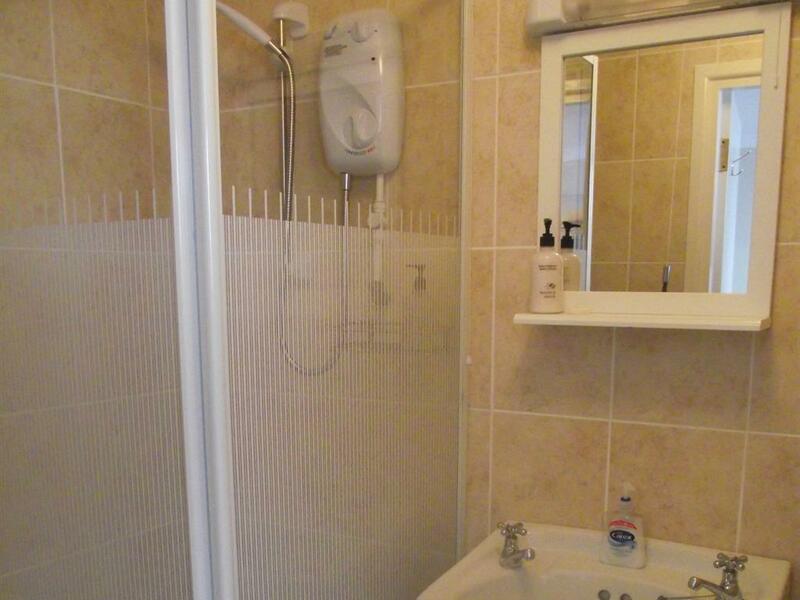 All rooms have Freeview TV, tea & coffee making facilities, towels, alarm clocks & hairdryers. 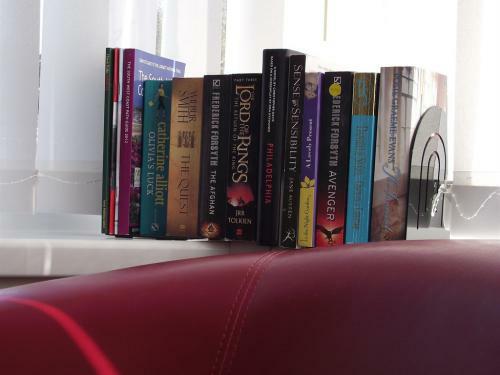 There is also a coffee lounge, where you can relax and enjoy coffee, cake and a good read or play a game. 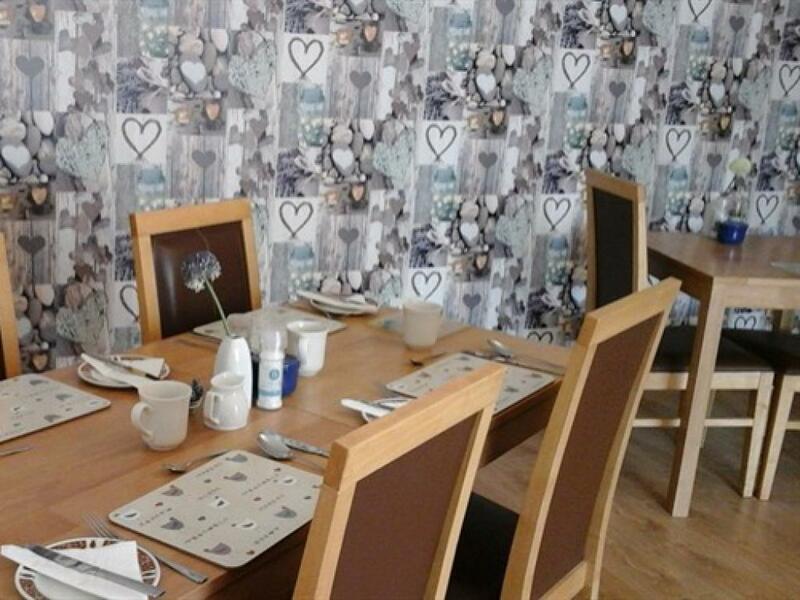 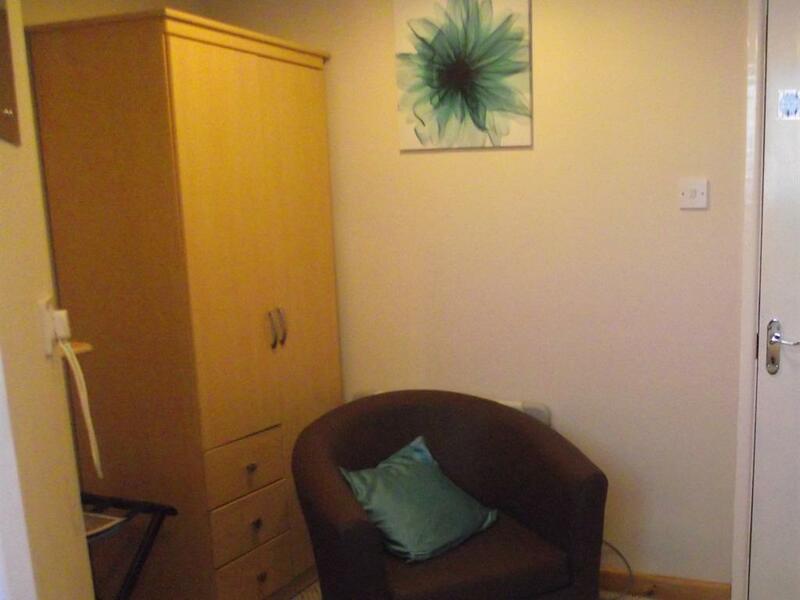 Free WiFi internet access and ironing facilities are available on request and there is ample off street parking. 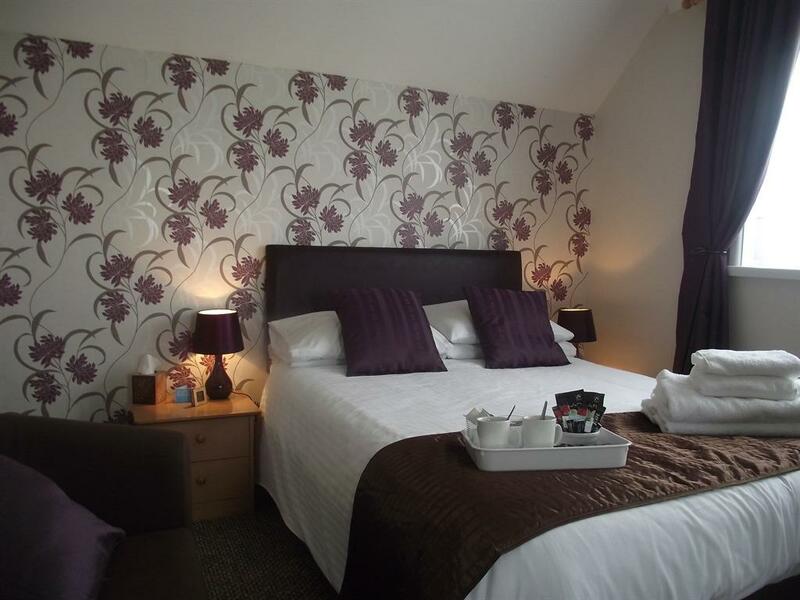 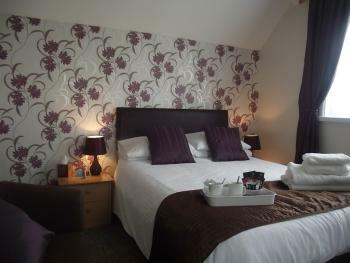 Pet friendly rooms ground floor rooms only (6&8) charge applies ten pound per night. 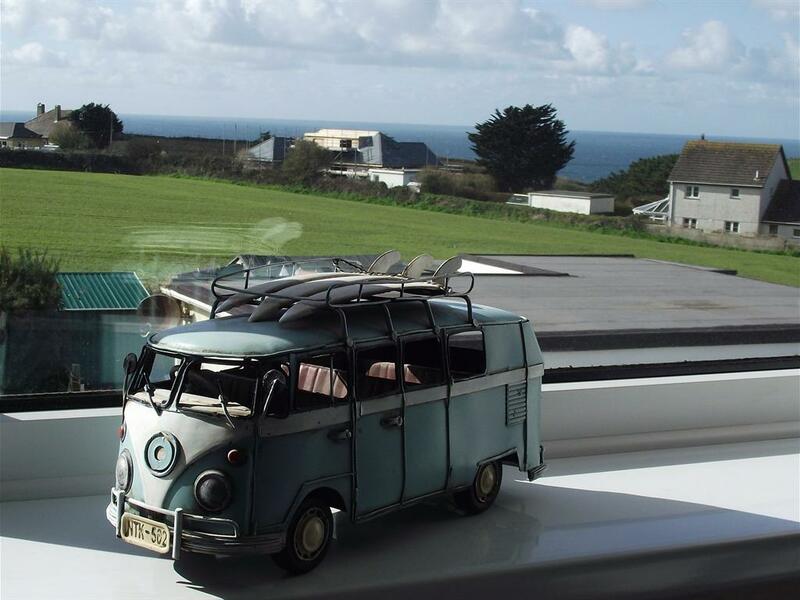 The B&B is open all year round and is located on the coast road 4 miles north of Newquay and 8 miles south of Padstow. 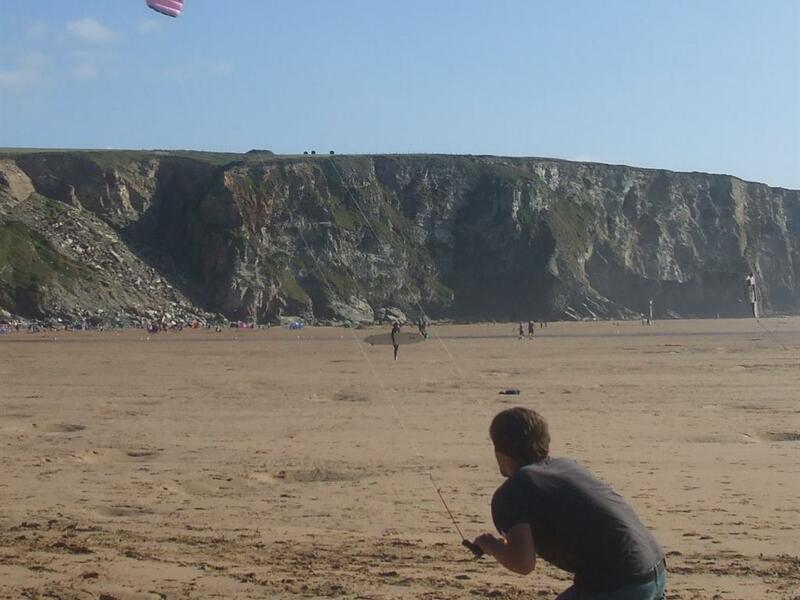 It sits in a quiet hamlet with the sandy beaches of Watergate Bay and Mawgan Porth close at hand. 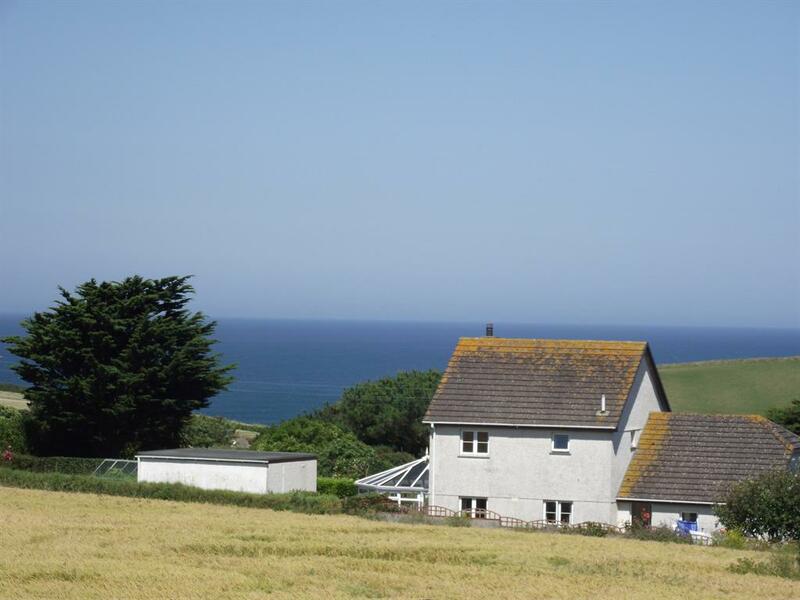 It is also conveniently positioned for walking the South West Coastal Path and within easy reach of Newquay Airport. 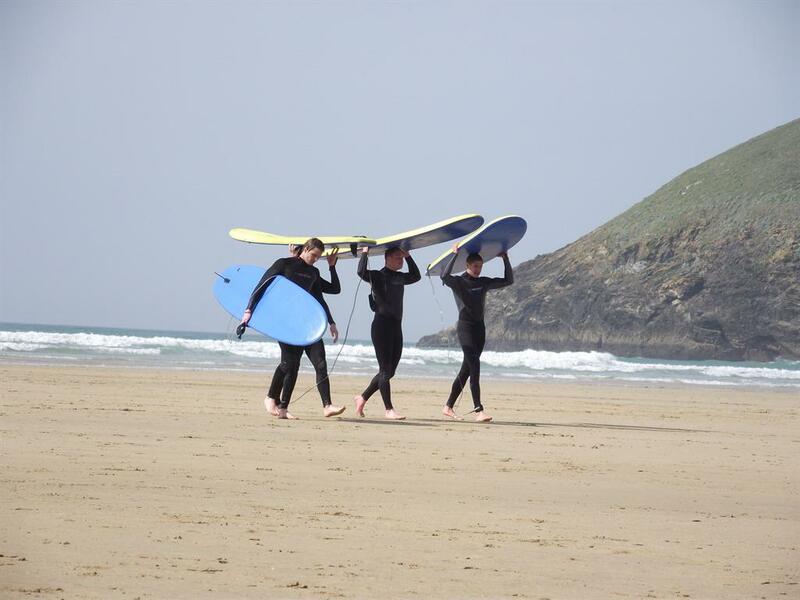 We can offer surfing lesson packages, and golfing, fishing, coasteering, walking, and many other activities are available nearby. 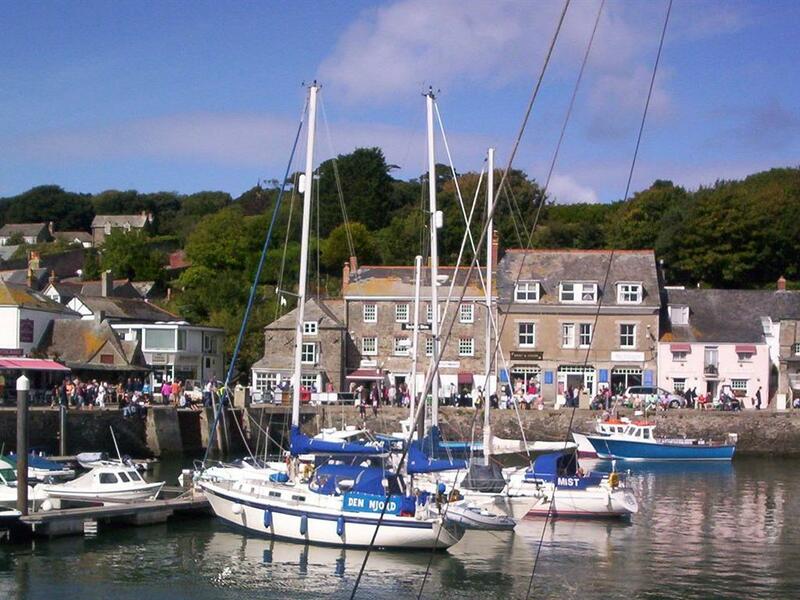 There are plenty of family friendly attractions in the area and the gastronomic delights of Jamie Oliver’s Fifteen Cornwall, Paul Ainsworth’s Number 6 & Rojano’s on the Square, or Rick Stein’s Seafood restaurants and deli’s are just a short drive away. 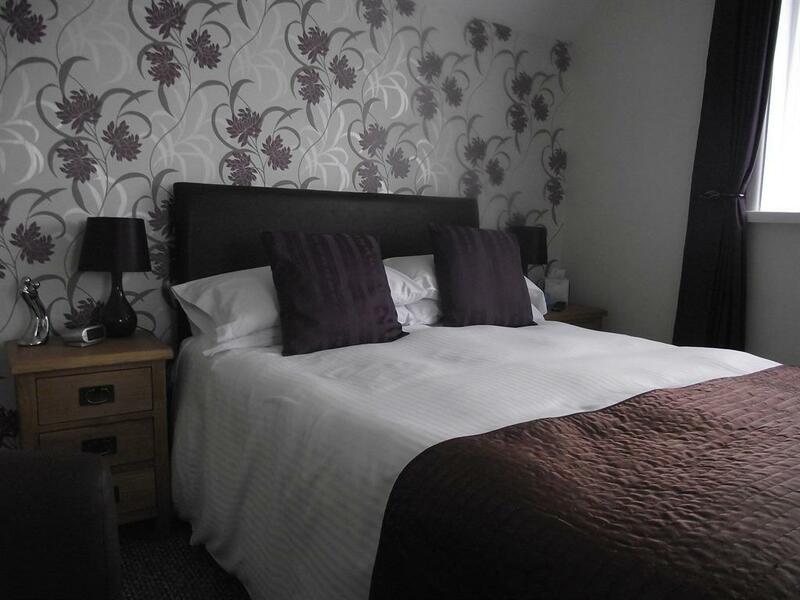 There are local pubs within walking distance serving good quality meals at great value, we would be happy to recommend somewhere to suit your taste. Follow A30 until you see the signs for 'Newquay Airport' Follow these signs and you will eventually pass the airport on your left. 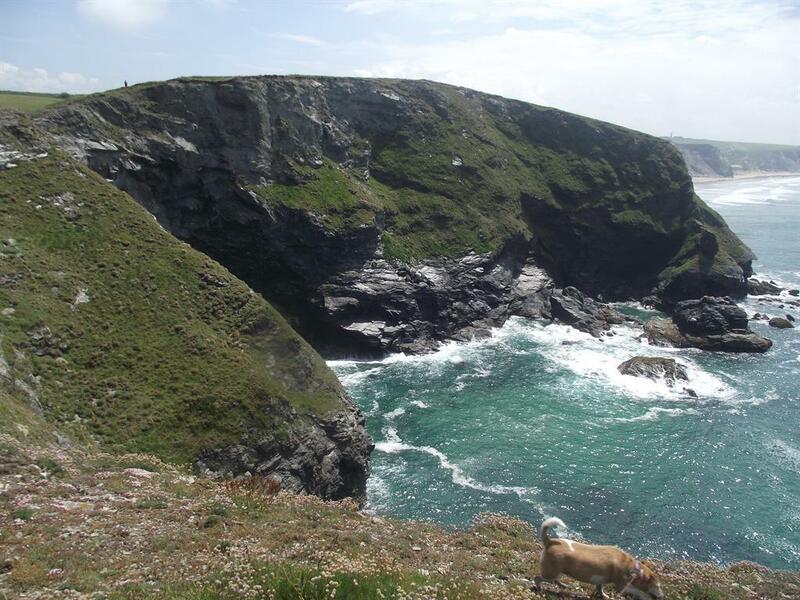 At the T-Junction turn right. 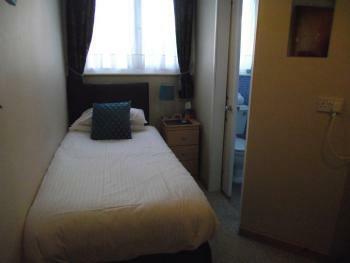 'Trevarrian' is half a mile down this road. 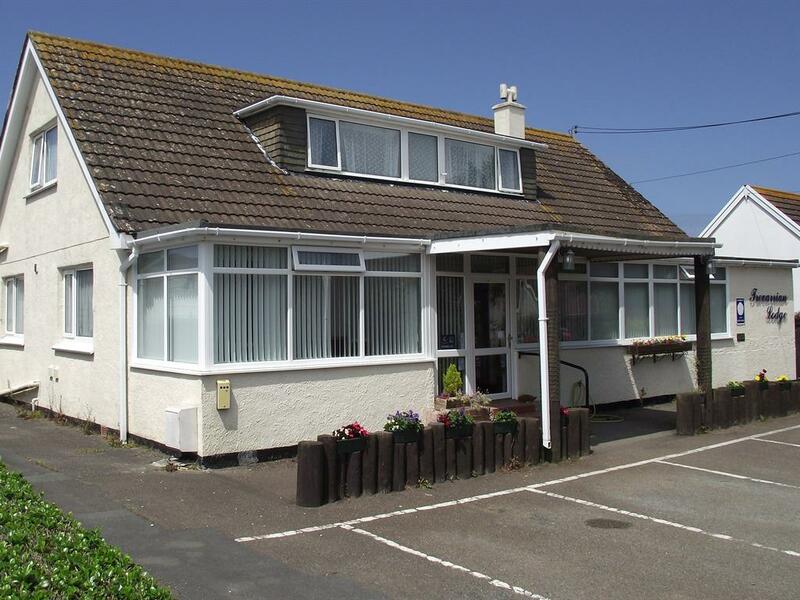 On entering the village our Brown sign can be seen on the left directing you up a narrow lane and Trevarrian Lodge can be found approx. 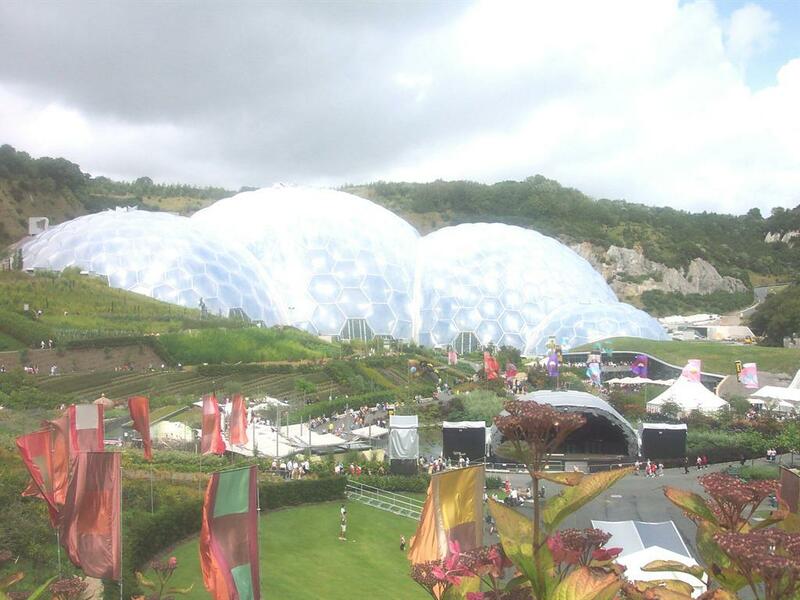 100yds at the top of the lane on the right.